A day before the Queen’s birthday last year we decided to visit the Nan Tien Temple which is about 80 kilometers south of Sydney in the city of Wollongong. We travelled even though the weather was somewhat not cooperating because it was cold, showering at times, and windy, but when we were at the shrine we’re surprised to have then a sunny day for the duration of the visit. 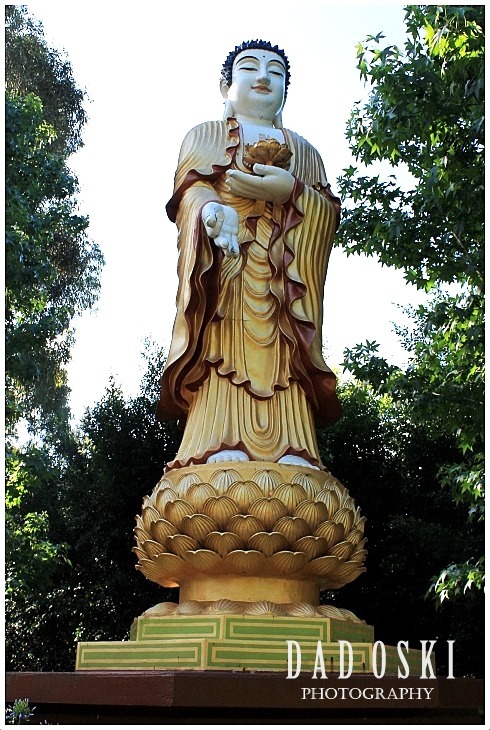 Buddha statue outside the temple. The temple has become the most popular tourist attraction in that place. 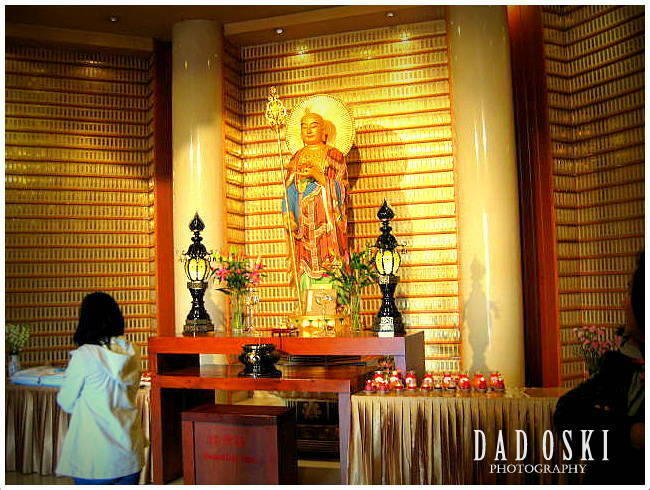 History recorded that the hilly land where the temple was constructed was donated by the Australian government to Master Hsing Yun of the Fo Guang Shan, a sect of the Mahayana Buddhist based in Taiwan. 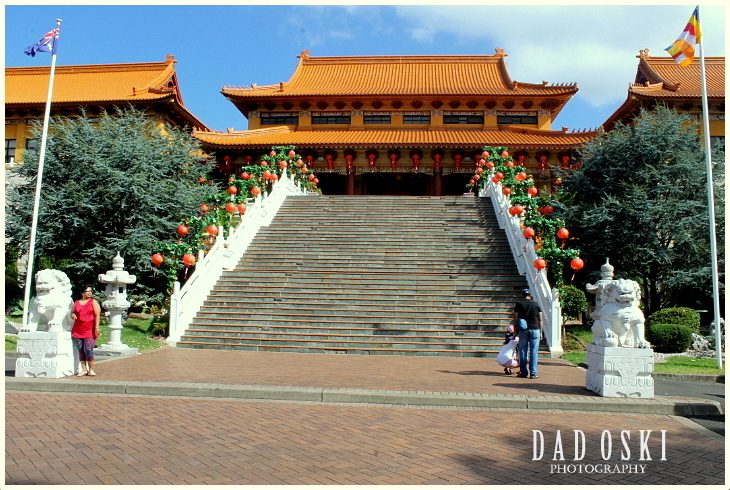 Nan Tien temple literally means the “Southern Hemishpere Temple” and is one of the largest Buddhist temples in the southern hemisphere, the construction was completed in 1995. 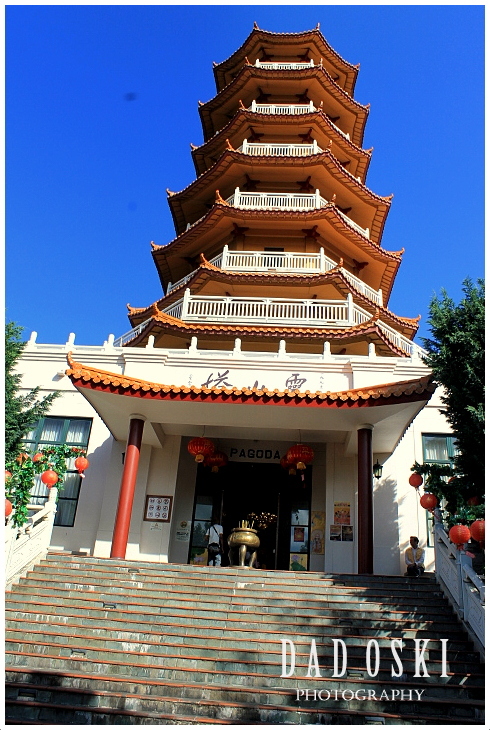 There’s a feeling of comfort, calm and reverence when inside the shrine much more when inside the Pagoda, a towering seven story structure, and at the main temple both of which they require that all shoes of pilgrims and visitors be taken off before entering the temple. The architecture of all the structures inside the compound is somewhat distinct to each other because they incorporate several styles of Buddhism; those in China and Tibet. The gardens in the compound are Japanese in style, too. The statues and shrines are from Southeast Asian color schemes. What attracted my attention for both the Pagoda and main temple were those thousands of tiny statues of golden Buddha on their walls and I know for sure that they are precious, carefully and delicately laid down. The temple is huge and heaps of visitors were here when we visited it and the car park was full, too.